Click here for a secure booking form. ​Join our group cruise on the Norwegian Breakaway March 31, 2019! 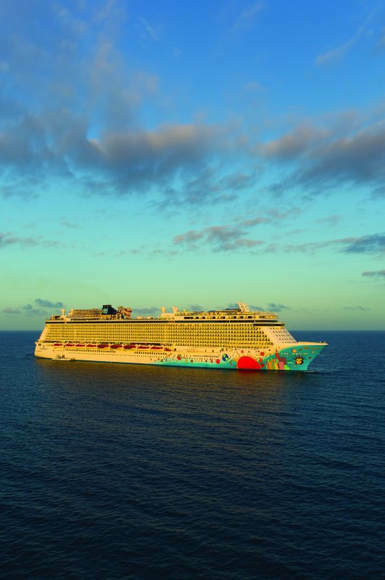 As the largest cruise ship to ever homeport in New Orleans, Norwegian Breakaway is ready to whisk you away to your best vacation yet. 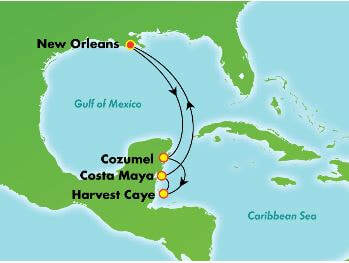 Explore the enchanting ports of Cozumel, Costa Maya and Norwegian's private port of Harvest Caye, Belize. With dozens on exciting shore excursions to choose from, there's something for everyone to enjoy! ​Voted Best New Cruise Port in 2017 by Porthole Magazine, Harvest Caye in Southern Belize is the Caribbean's premier island destination. Immerse yourself in natural beauty and culture on a 75-acre oasis featuring an expansive pool with a swim-up bar, salt-water lagoon for water sports, exclusive 7-acre beach and exciting shore excursions ranging from zip lining across the island to snorkeling the world's second largest barrier reef. 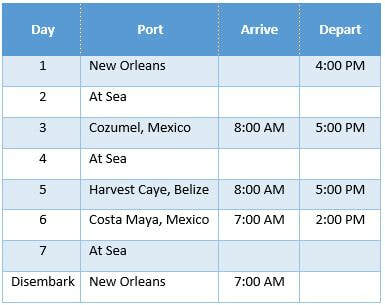 Receive a $25 per room onboard credit, plus pick from the amenities listed below as part of Norwegian's Free At Sea Promotion. $250 per person deposit due at booking. ​Payments can be made as needed. 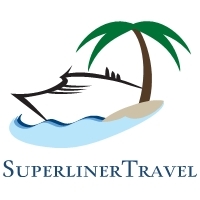 Rates include all taxes and port charges. Rates are for the number of people listed, not per person. ​Rates are subject to change until deposited. ​Additional stateroom types are available by request. 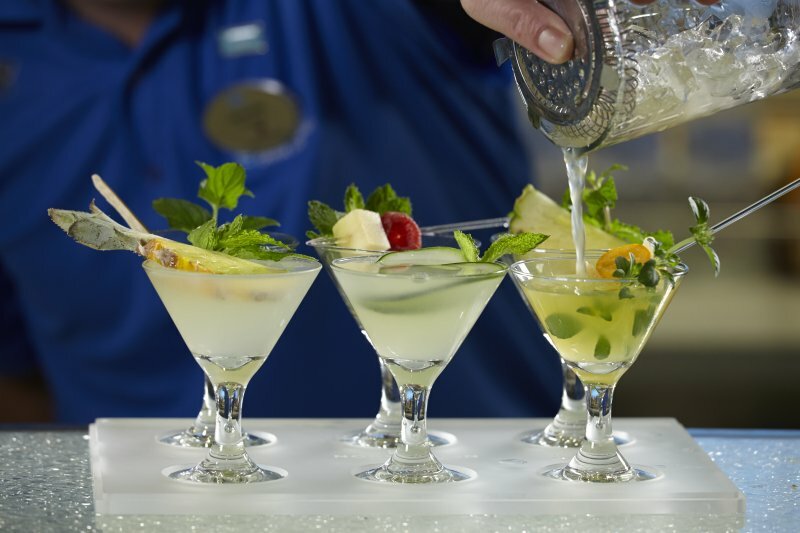 ​*Prepaid gratuities for the beverage package are required in the amount of $99.54 per person. 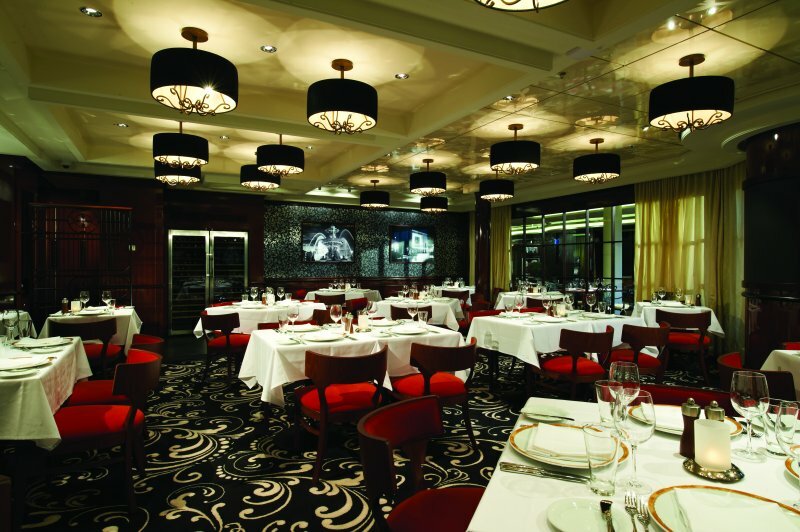 ​+Prepaid gratuities for the specialty dining package are required in the amount of $12.42 per person. ​-Friends and Family Sail Free is not being offered on this sail date. The Haven & Suites receive all 4 offers! ​Oceanview & Balcony rooms choose 2 offers! Ready to join us? Click here for a secure booking form or contact us by phone or email.